The 2005 WRI annual seminar was entitled “Peace In North-East Asia” and focused on a variety of related topics over 3.5 days. It consisted of a mixture of panel discussions, small workshops and a nonviolence training session. Every participant was provided with a “Peace In North East Asia” seminar book containing the presentations of most of the speakers in both Korean and English language. Due to the participation of Korean as well as international participants, interpretation (English-Korean/Korean-English) was provided throughout the seminar. Simultaneous interpretation was provided for the panel discussions and interpretation in turn provided in workshops and small group sessions where required. On a broader level: to raise awareness for nonviolent and peaceful alternatives to a military-based concept of “national security” in South Korea and Taiwan. On the regional level, to strengthen the links between peace movement organisations in the region, therefore furthering future cooperation and exchange on shared issues and problems, such as the issue of US bases. On the international level, to raise awareness for the problems in North-East Asia within the international peace movement - especially important regarding a potential escalation of the issue of WMD's in North Korea. Also to improve the international network of the regional peace groups. During the first session, speakers from South Korea (Min Choi), Japan (Yamaguchi Hibiki) and China (US national James Reilly spoke on China and Taiwan) introduced the peace and security related issues in each region. This was an important introduction to the subject and served to put things in context. The second session featured examples of non-violence as presented by Andreas Speck, Campaigning Worker at WRI and Ellen Elster of the WRI Women’s Working Group who was able to introduce a feminist perspective early on in the seminar. On this day we looked at issues of national security and developed a vision of security with non-military means using participatory techniques. During session one Sergeiy Sandler of New Profile used his experience in Israel to illustrate the impact a military approach to security has on a society and its values. Elli Kim of South Korea offered a feminist analysis of the issues by discussing how gendered discourses are used in national security. In session 2, we continued exploring the themes by using workshops to look at different aspects. The workshops held were entitled: North Korean Nuclear Issues; US Bases/Hegemony in the region (which formed part 1 of a 2 part workshop); Withdrawal of Troops from Iraq; Hegemonic demands of China and Japan in the region. After lunch, session 3 involved further group work with participants discussing “security from a peace perspective” in small groups – one of which focused on a gendered perspective. The purpose of this session was to develop a vision of what would make a secure world from the perspective of participants. This topic was continued in session 4 when participants reformed as a large group in order to identify common elements and develop together a definition of security from a peace perspective. Day 3 offered participants the opportunity to develop themes from the previous day and introduced the concept of Nonviolent Social Defence as a non-military alternative. It also offered space for sharing examples of non-violent struggle and included a practical 2-session long Nonviolence Training. Brian Martin led session 1 with his excellent presentation on Nonviolent Social Defence whilst session 2 used workshops to get to grips with the issues. Aside from the Nonviolence Training, the workshops focused on examples and strategies of non-violent movements: conscientious objection, US bases (part 2) and non-violence in Israel-Palestine. Session 3 looked at non-violent organising through workshops on working in groups – which had a focus on gendered perspectives; coalition building and international cooperation. During session 4, participants heard about actual case studies of nonviolent campaigns from Jorgen Johansen of Norway’s University of Tromso Department of Peace Studies and a Korean activist who spoke about the campaign to save Korea’s Chungsun mountain. Jorgen’s enlightening and somewhat amusing presentation showed how a number of different techniques can be used as part of an overall strategy to get an issue or campaign to the highest level of the political agenda. The example of the campaign to save Chungsun mountain also illustrated the way in which different tactics can be used for different circumstances in different areas of the world. The final day of the seminar built on the previous three days in order to build a peace movement strategy for the future. Session 1 offered an overview of the achievements and challenges of the Asian peace movement and included presentations on US bases and hegemony in the region, WMD and nuclear issues, conscientious objection and feminism. Session 2 enabled participants to engage with the issues through workshops on “How to address he challenges?” The workshop topics were: the role of Korean and Japanese activists; the role of people and movements from outside the region; the role of the women’s peace movement and linking local or specific campaigns to international or broader movements. Session 3 concluded the day’s discussions with an interactive presentation of the workshop results which involved participants moving around the room from one presentation display to the next as representatives of the different groups offered explanations on their results. The final session of the seminar was reserved for evaluation where participants were given the opportunity to offer feedback on the seminar. Small groups were formed where participants discussed what they liked and disliked about the seminar and also offered suggestions on where improvements could be made. This important aspect of the final day will help WRI to improve the annual seminar for next year and in years to come. There was a high level of interaction between participants and international and Korean participants mixed well. Many new links were made and a lot of participants will be keeping in contact in the future. International alliance seems more possible than before the seminar. The interpretation was of an excellent standard, well organised and provided in every panel discussion, workshop and small group. The timing of the sessions was very well thought out and it was good to have 2 hours for lunch. Most people agreed that the food was excellent! The opening session was an excellent introduction to the issues and gave the context that was required. The book of seminar presentations was extremely useful. Sharing stories with participants from all over the world was a highlight. The space given to feminist/gendered perspectives was worthwhile. Participants felt that the participatory nature of the seminar was beneficial. The Buddhist centre where the seminar was held was felt to be a very appropriate choice and a great space to work in. There were limitations on time due to interpretation during workshops and small groups. Some of the speakers stuck to the text in their handouts which made their presentations less interesting. It was felt that the time could have been instead to engage in more in-depth discussion. There was too much work and not enough social/free time. The Taiwanese dimension was missing as speakers and participants from Taiwan could not be found. The last day’s sessions – in particular session 1 – felt too rushed. Introducing ourselves and our interests at the beginning of the seminar would have been useful. More was needed on the Korean peace movement. Workshops should have been longer to make up for the time spent interpreting. There were limitations in reaching consensus on common solutions. More recreation time to get to know each other. Workshops could have been more prepared beforehand. Plenary facilitators should have been stricter with time limits. The Korean translation of “international seminar” was felt to be too rigid by some of the Korean participants! An alternative translation could have resolved this. Overall, the seminar was a resounding success on many levels and participants agreed that they had gained a great deal from it. Many new links were made and plans for future collaboration were laid, including: building on links made between Korean and Japanese activists – particularly on the issue of US bases; pursuing a project to document women’s contribution to conscientious objection as an anthology of women’s stories from around the world and organising for Asian peace activists to attend the 2006 WRI annual seminar – “Globalising Nonviolence” - in Germany next year. 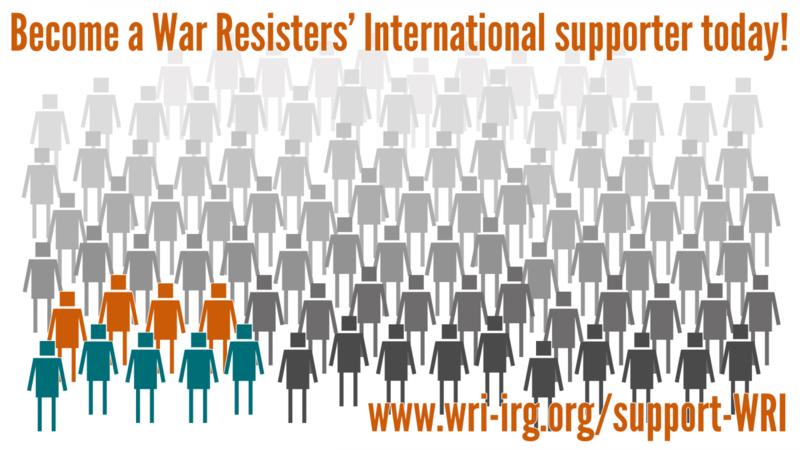 War Resisters’ International, Korea Solidarity for Conscientious Objection, Solidarity for Peace and Human Rights, World Without War, Civil Network for Peaceful Korea and Women Making Peace would like to thank all our funders for their invaluable contribution to this seminar.